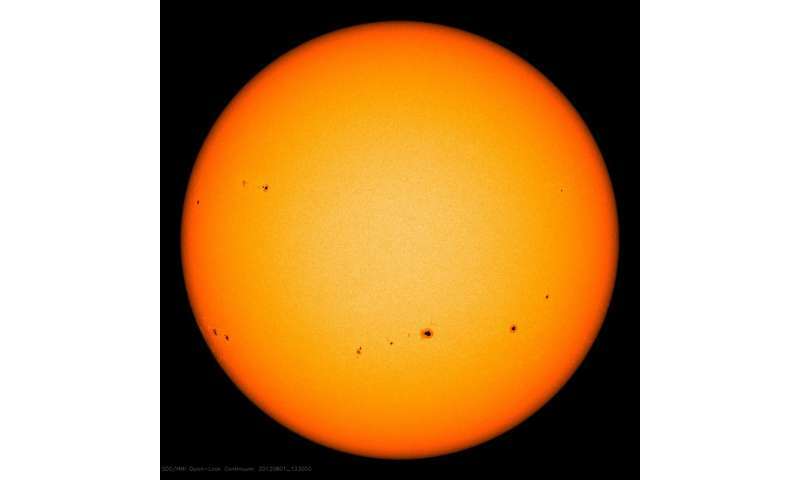 An international team led by Instituto de Astrofísica e Ciências do Espaço (IA) researcher Vardan Adibekyan used a novel method to detect solar siblings. The article was published in the journal Astronomy & Astrophysics. Solar siblings are the thousands of stars which formed in the same massive cluster as the sun, about 4.6 billion years ago. 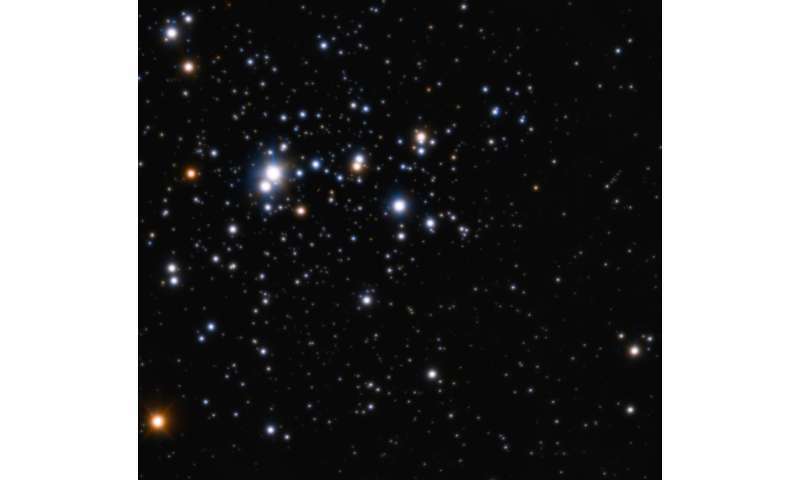 As time went by, the stars in the cluster disbanded and scattered throughout the galaxy, making it very difficult to find them. Vardan Adibekyan (IA & University of Porto) explains the importance of finding these stars: "Since there isn't much information about the sun's past, studying these stars can help us understand where in the Galaxy and under which conditions the sun was formed." He adds, "With the collaboration of Patrick de Laverny and Alejandra Recio-Blanco, from the Côte d"Azur observatory, we got a sample of 230 000 spectra from the AMBRE project." AMBRE is a galactic archaeology project set up by ESO and the Observatoire de la Côte d"Azur, in order to determine the stellar atmospheric parameters for the archived spectra from ESO's FEROS, HARPS, UVES and GIRAFFE spectrographs. Next, the team used these very high quality spectral data from the AMBRE project together with very precise astrometric data retrieved from the second release of ESA's GAIA mission, in order to "make a selection of stars with chemical compositions which best match the sun's composition, followed by an estimate of these stars age and kinematic properties," said Vardan Adibekyan. Although only a single solar sibling was found in this work, HD186302, it was a special one. This G3-type main sequence star is not only a solar sibling by both age and chemical composition, but it is also a solar twin. Solar siblings might also be good candidates to search for life since there is a possibility that life could have been transported between planets around stars of the solar cluster. The transfer of life between exoplanetary systems is called interstellar lithopanspermia. Adibekyan is cautiously excited about this possibility: "Some theoretical calculations show that there is non-negligible probability that life spread from Earth to other planets or exoplanetary systems, during the period of the late heavy bombardment. If we are lucky, and our sibling candidate has a planet, and the planet is a rocky type, in the habitable zone, and finally if this planet was 'contaminated' by the life seeds from Earth, then we have what one could dream – an Earth 2.0, orbiting a sun 2.0." I do not agree with the panspermia-cargocult nonsense. But I would agree that with any luck, this star is an excellent candidate for a Living World. That could have evolved it's own biome. And being of a similar age? I'd even go so far as to urge projects such as SETI to pay more attention to any possible signals from this star system. Remains to be seen how the planets lined up and managed to acquire stable orbits. It's a crapshoot. We need to be patient. Not jump to embarrassing conclusions just for a clickbait headline.